"East End of New Abbey"
Apparently, according to Hunnisett, it had been previously thought that John Henry, son of John Le Keux, had studied under James Basire, the famous 18thC. engraver. But this doesn't square with the fact that John Henry was born in 1812, whereas Basire had died in 1802, according to contemporary accounts. It is more likely that John Henry apprenticed under his father and soon became an assistant to the same. 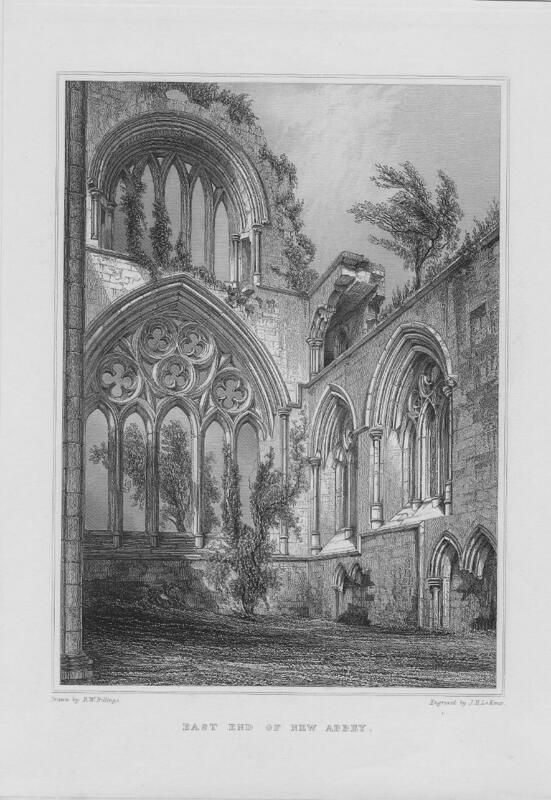 John Henry Le Keux's associations with the famous W. H. Bartlett, Samuel Prout and later, John Ruskin, enabled him to become a very prolific and well respected engraver within the Victorian art community. 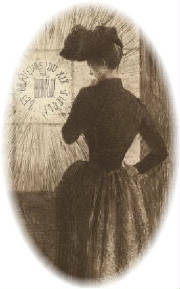 He also in-vented a two plate engraving process ( see bio excerpt includ-ed w/print ). He lived for nearly 84 years; died in Durham.